A Nexus 8 mockup, courtesy of Android Police. Google’s much-anticipated Nexus 8, manufactured by HTC, could well be the most impressive Android device to date. Not only is it expected to look good, but a recent specifications leak suggests it will have a super-speedy 64-bit NVIDIA Tegra K1 processor and 4GB of RAM, blowing every other Android-powered tablet right out of the water. The information, which was published on Twitter today, comes from UpLeaks, a source that has been incredibly reliably in the past. It claims that the Nexus 8, which is also called the HTC T1 and codenamed “Volantis” internally, will be powered by NVIDIA’s latest Tegra K1 processor, combined with two 2GB RAM chips. Other specifications an 8-megapixel rear-facing camera, a 1.6-megapixel front-facing camera, NFC connectivity, and GPS. And as you might expect, this device will launch with Google’s latest Android L operating system pre-installed (without Sense). 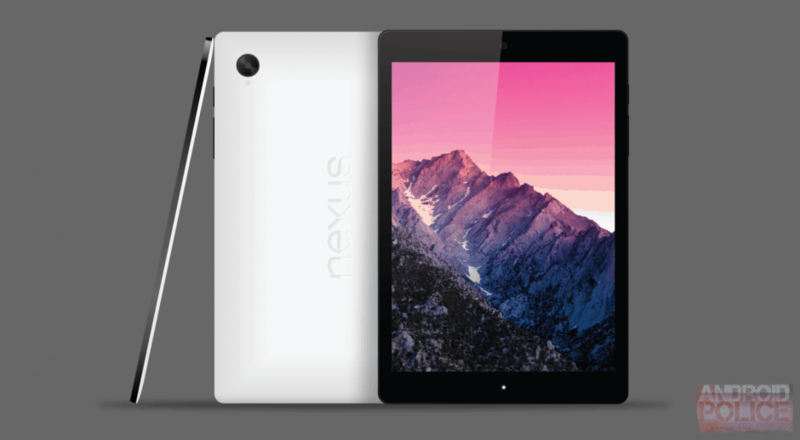 It could well be the first device to get Android L.
UpLeaks doesn’t provide us with a release date for the Nexus 8, but it’s likely to launch this fall alongside Android L’s public release. Don’t expect newer versions of the Nexus 7 or the Nexus 10, though. It’s likely Google will continue to sell the existing Nexus 7 for a while as a more affordable option, but the Nexus 8 will likely become its high-end option.